Tony Thomas is president and chief executive officer of Windstream. He was appointed to the position in December 2014. Thomas has more than 20 years’ experience in the communications industry. 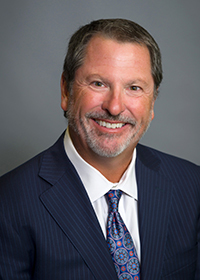 He was instrumental in the development of Windstream’s REIT spinoff and served as president of real estate investment trust operations at Windstream from October to December 2014. Thomas served as the chief financial officer for Windstream from August 2009 through September 2014. During his five-year tenure as CFO, Thomas played an integral role in Windstream's expansion by completing seven acquisitions totaling more than $5.6 billion in transaction value. In addition, Thomas has deep capital market expertise, having led almost $10 billion in debt transactions. Thomas joined Windstream as controller following the spinoff from Alltel Corp. He held a variety of financial and operational leadership roles at Alltel after joining the company when it merged with 360 Communications in 1998. Before entering the communications industry, he was with Ernst & Young in the telecom practice. 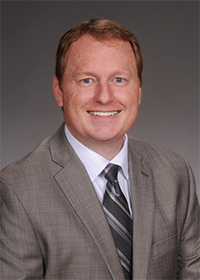 He holds a master’s degree in business administration from Wake Forest University and a bachelor's degree in accountancy from the University of Illinois. He has held numerous leadership roles within the company including senior vice president of financial planning. 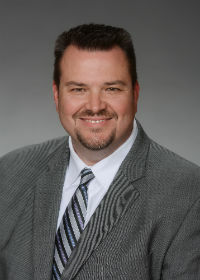 Gunderman holds a degree in accounting from the University of Arkansas and is a Certified Public Accountant (inactive). He serves on the board of directors of The Arkansas Game and Fish Foundation. Layne Levine is president of the Enterprise & Wholesale business unit. He is responsible for overseeing sales, financial performance, marketing, field technicians, service delivery and customer care and repair for the company’s enterprise, mid-market/commercial markets and wholesale segments. He also oversees the company’s channel program, including Value-Added Resellers (VARs), agents, Managed Service Providers (MSPs) and system integrators. 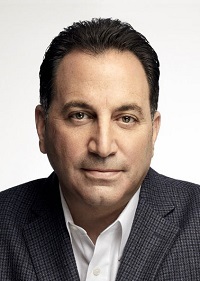 Levine has worked in the telecom industry for more than 25 years, most recently as chief revenue officer at GTT, which provides cloud networking services to multinational customers. In that role, Levine led the company’s revenue growth initiatives worldwide, targeting global carriers and multinational enterprises and developing its emerging channel strategy. Previously he was the executive vice president for GTT’s Americas division, managing the sales and customer operations efforts for North and South America. Prior to joining GTT, Levine was senior vice president of sales at Alpheus Communications. Before that he was senior vice president of retail sales for Deltacom/EarthLink. Levine also has held leadership positions at Airband Communications, Level 3 Communications and Broadwing Communications. Jeff Small is president of consumer, small and medium-sized business in markets where Windstream is the Incumbent Local Exchange Carrier (ILEC). He oversees all aspects of Windstream’s relationship with consumers as well as small and medium sized business customers in these markets, including field operations, sales, customer care, and marketing and product marketing. He also has responsibility for the broadband engineering, broadband project management and outside plant engineering groups in these markets. Small joined the company in June 2016 as executive vice president of engineering and network operations. Previously, he was senior vice president of corporate development and operations for Communications Sales & Leasing (now Uniti Group), the Real Estate Investment Trust created in 2015 with the spinoff of certain Windstream network assets. Before joining CS&L, Small was vice president of procurement and carrier service delivery at Windstream. He also held a variety of other accounting and finance leadership roles with Windstream. He previously served as the controller for Ranger Boats, Inc., and was a senior auditor with Arthur Andersen LLP. Small holds an accounting degree from Arkansas State University. Jack Brooks is chief human resources officer of Windstream. He oversees all human resource functions, including compensation, benefits, recruiting, employee relations, labor relations, training and corporate affairs. Brooks joined Windstream in October 2017 as senior vice president of people development for the Cloud & Connectivity business unit and was named to his current position in January 2018. He was most recently executive vice president of global human resources for the enterprise software provider Axway, where he oversaw HR business partners, organizational development, compensation and talent acquisition. He previously led global human resources and administration at Airband Communications and was senior vice president of human resources and administration for Broadwing Communications. Brooks holds a Bachelor of Science in business administration from The Citadel is a former Marine officer. Ron “Buddy” Bayer is chief network officer for Windstream. He is responsible for network engineering, architecture, network operations and capital investment for the company. 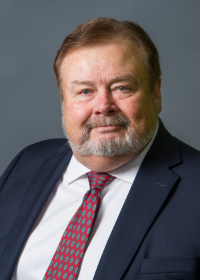 He was previously senior vice president of transport engineering, overseeing Windstream’s long-haul, regional and metro networks; inside plant facilities, and fiber deployment. Bayer joined Windstream in September 2014 from CenturyLink, where he was director of transport planning and engineering. He had previously held a variety of management and engineering positions with OnFiber Communications and MCIWorldCom. Bayer holds a Bachelor of Science in Civil Engineering from Oklahoma State University. Stephen Farkouh is chief information officer at Windstream. He oversees all of Windstream’s information technology operations and is responsible for partnering with the business to maximize the value of technology investments, generate revenue, and drive new opportunity. Farkouh was previously Windstream’s senior vice president of cloud technology and platform development. In that role, he was responsible for the creation of software-based UCaaS and SD-WAN products, customer self-service web portals and mobile applications, third-party integrations, and back-office solutions across all aspects of Windstream. He joined Windstream in August 2017 following the acquisition of Broadview Networks where he led numerous transformation programs, including the shift to agile methodologies and DevOps. He has over 30 years’ experience applying software to create strategic differentiation and over 10 years’ experience working at an executive level. He previously worked with a mix of new entrants and established companies such as Bellcore, Objective Systems Integrators, TCG, AT&T and Broadview. Farkouh holds a Master of Science degree in Electrical Engineering from Princeton University and a Bachelor of Science degree in Electrical Engineering from Columbia University. Kevin Halpin is senior vice president of process development and project management for Windstream. He was appointed to the position in January 2015 and works with business unit leaders across the company to enhance the customer experience. Halpin has worked in the communications industry for 20 years. He previously served as a transition lead vice president at AT&T, where he helped oversee the buildout of the information technology infrastructure needed to migrate Allied Wireless customers to AT&T. 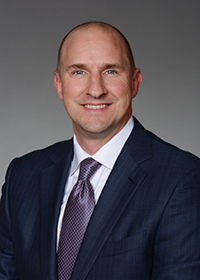 Before joining AT&T, Halpin served as vice president of process development for Alltel Corp. He also held a number of other leadership roles at Alltel in relationship marketing, product management and strategic marketing. 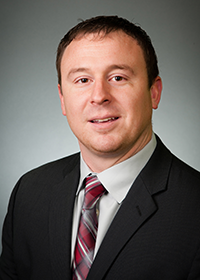 Halpin earned a bachelor’s degree in business administration from the University of Illinois. 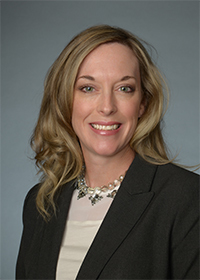 Kristi Moody is senior vice president, general counsel and corporate secretary for Windstream. She oversees the company’s legal affairs, including strategic initiatives, regulatory and securities law compliance, corporate governance and records, contracts and state government affairs. Moody joined Windstream in 2006 as senior litigation counsel. She was named vice president of law in 2012 and deputy general counsel in 2013. 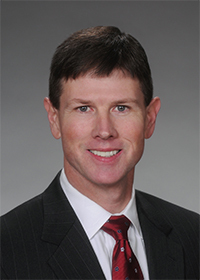 Prior to joining Windstream, Moody was in private practice for 11 years at Wright, Lindsey & Jennings LLP. She has a juris doctorate from the William H. Bowen School of Law at the University of Arkansas at Little Rock and a Bachelor of Arts degree in political science from Louisiana Tech University. Drew Smith is senior vice president of financial planning and assistant treasurer for Windstream. He oversees financial forecasting and planning, treasury and capital market functions and debt management as well business development for the company. He was named senior vice president of strategy, financial planning and business development in May 2017. 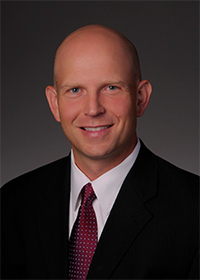 Smith previously served as president of consumer and small and medium-sized business services in markets where Windstream is a competitive local exchange carrier (CLEC). He also has served in senior leadership roles in access management, carrier relations and service delivery. Smith holds a bachelor’s degree in business administration from the University of Central Arkansas. He is a Certified Public Accountant (inactive). John Eichler is senior vice president and controller for Windstream. Eichler is responsible for the company's accounting, external reporting, regulatory reporting, retail billing and revenue assurance functions. He previously served as vice president of internal audit for Windstream. Eichler was vice president of internal audit for Alltel's wireline business prior to joining Windstream in July 2006. Before joining Alltel, Eichler served as a consultant for companies in the communications industry and is a former audit manager for Arthur Andersen LLP. Eichler holds a degree in accounting and finance from the University of Arkansas. He is a licensed certified public accountant. 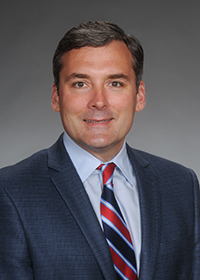 He serves on the board of directors of Junior Achievement of Arkansas and the Sam M. Walton College of Business Accounting Advisory Board at the University of Arkansas.